John Stratton is a soldier in the British SBS. The Special Boat Service is the Special Forces division of the British Royal Navy. Comparable to the SAS of the British Army, this highly skilled group of largely Royal Marines performs duties much as the American Seals, being the elite fighting force trained to handle the nastiest of black-ops; infiltrations, rescue, demolitions, or reconnaisance as needed. Stratton is one of their finest, a Marine who has served in the SBS for a good number of years at the start of the series and has no thought of quitting. He could easily be a poster board for the Service with his rugged good looks, tall, strong, athletic build, and a sternness of expression that would make most intelligent people take pause before starting anything. His taciturn nature and piercing grey eyes, however, would certainly dissuade anyone from asking him to do it. Very little is given about Stratton's origins, what made him the fighting man that he currently is or prompted him to join the Service. He is single, having never tried marriage. He seems without a steady companion. Though many have offered, he knows with his job and the crazy schedule he keeps, it would not work out too well. Stratton is tremendously loyal to his comrades and has risked his own life on several occasions to save theirs. These people in turn would fight for him but he would be reluctant to ask. Towards his superiors, his attitude is quite a bit different. Respectful and slow to anger, he nevertheless has little use for the higher-ups who have never faced what he and his colleagues do. And he is independent enough to do things his own way and suffer the consequences later when he knows he is right. The books about Stratton are included because in addition to his SBS duties, he is on constant call by MI-6 for clandestine work in remote areas of the world and will, during the course of the series, even work on occasion with the CIA. The undercover agent was just watching the activities of the Real IRA in Northern Ireland when his identity was discovered and he had to go into hiding. 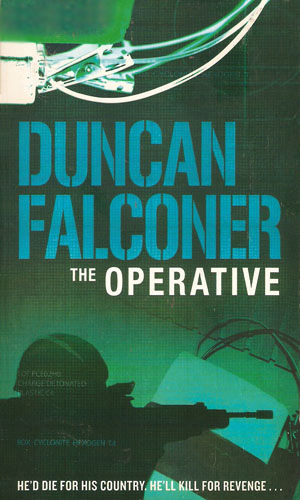 Stratton's job is to bring him out but soon realizes it wasn't a error on the agent's part that got him noticed but an informant inside MI-5. 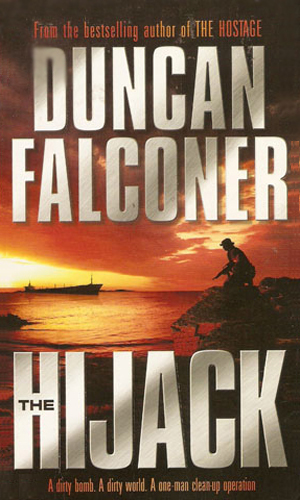 While Stratton is being bored with a safeguarding assignment, a team of terrorists is taking over a supertanker. The boredom soon comes to an end. Stratton's best friend died in combat leaving a wife and child. When they move to Los Angeles and are brutally gunned down, Stratton is determined to find out why and avenge their deaths. 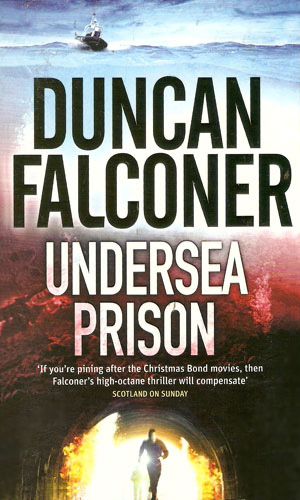 Beneath the surface of Gulf of Mexico, an underwater prison holds some especially nasty terrorists. Forces are fighting to destroy it while others are determined to keep it going for different reasons. Stratton is caught in the middle. 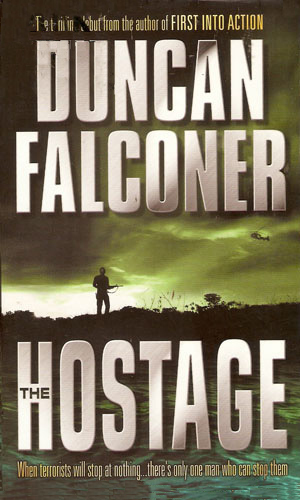 While doing a 'small job' for the CIA in Central America, Stratton finds himself uncharacteristically caught up in a rebellion that has more sides that normal. Stratton is in the dog house over an assignment gone bad but has a chance to redeem himself when a small team of men hijack an oil rig in the North Sea. One of his oldest friends is on that rig, giving Stratton even more reason to succeed. Intel talked of an al-Qaeda plot to buy surface to air missiles to blow up two 747s. 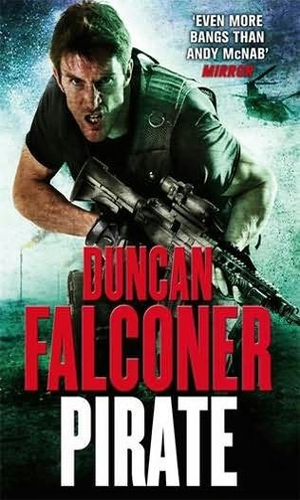 Stratton is sent to Yemen to capture the man behind the purchase of the weapon but when things go wrong, he ends up fighting with Somali pirates. 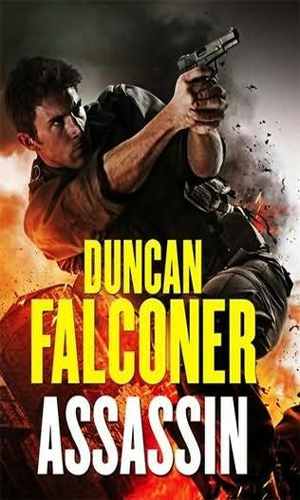 Stratton was looking forward to some R&R but a call from an old commander alerts him to the disappearance of a dirty bomb in Pakistan. When that former boss gores missing, Stratton becomes determined to get the truth but no one else seems willing to help. I was not sure what to make of Stratton in the first book. It was almost all action with virtually no really getting to know anybody in any way except that Stratton was 100% business and determined to get the job done at any cost. Why he was that way or what he thought or felt or who he was outside of work, none of this existed and that made me nervous about the series. Luckily, the other books had a lot of information about the character and lots and lots of chances to get to know him and once I did, I saw the character was a really fun read. 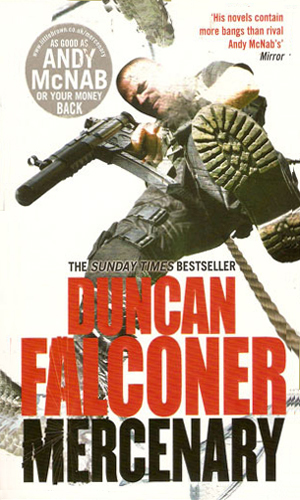 Mr. Falconer can really spin a yarn and I look forward to more adventures about this taciturn but deadly warrior. John Stratton, proper bloke, not just in it for the women. Luck plays a big part for him! The series can be read in any order, perfect length and full of action like a bond movie. Have been putting off reading the 1st book for quite some time but finally couldn't resist. I must say that the B+ rating is quite generous as I was not impressed. 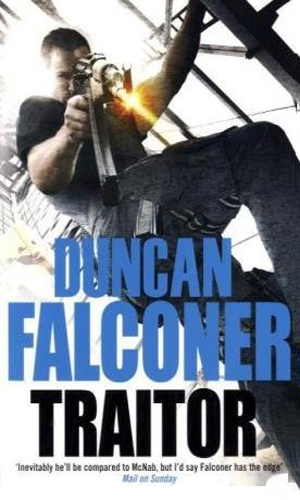 I ALWAYS find myself reading any series from this website in order so perhaps Mr. Falconers' writing gets better in subsequent books? John Stratton was not mentioned nearly enough in The Hostage & I really didn't get to know him as a character. However, given I am a total spy fiction book fiend, I will NOT give up on these books & will hopefully upgrade my thoughts on this series as I go along.